Sometimes I go to Whole Foods just for the samples. Admit it. You do the same thing. Or at the very least there’s a silent “YES! when you find samples just waiting to be tasted. Usually I’m happy enough with a few cubes of cheese but when there’s an actual product to try–even better. A few weeks ago, a lovely woman was standing by with a basket of pita chips and variety of hummuses to try. From spicy to feta to garlic roasted, they all looked fantastic. But what stopped me dead in my tracks was the kalamata olive hummus. I’ve eaten plenty of olive tapanade in my day, but addition of chickpeas and tahini intrigued me. I sampled, celebrated and brought some home to share with my husband. It was gone in hours. As much as I’m willing to splurge on fancy ingredients and good food, shelling out $6 for hummus at the rate we were about to consume it is outrageous. Hummus is so easy to make. As long as you have the ingredients and a blender or food processor, you can easily have hummus within minutes. 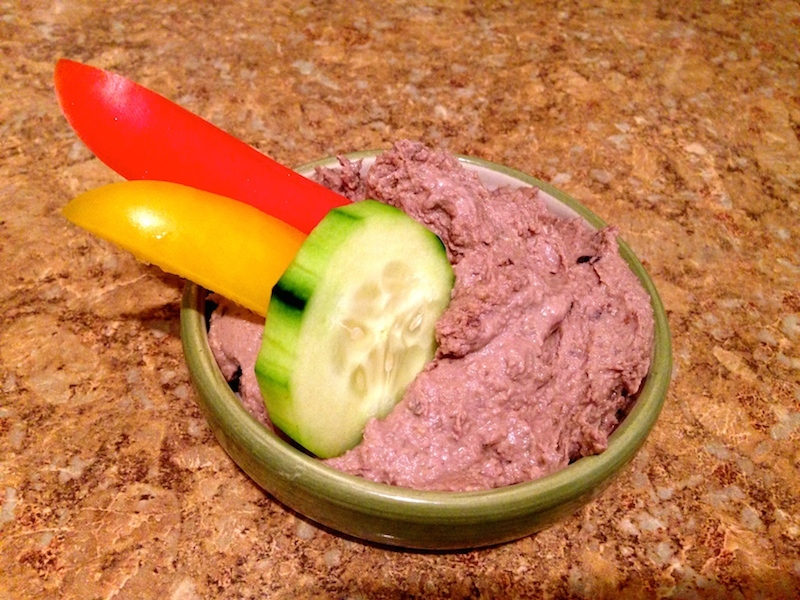 Always looking for a twist on the old classic, I knew I needed to replicate this dip. The ingredients were simple, but it was a matter of playing with the ratios. Starting with almost 1 to 1 then varying from there. True this hummus might have taken me a bit longer than 5 minutes, but it certainly won’t in the future. First thing first, double-check your olives are pitted! 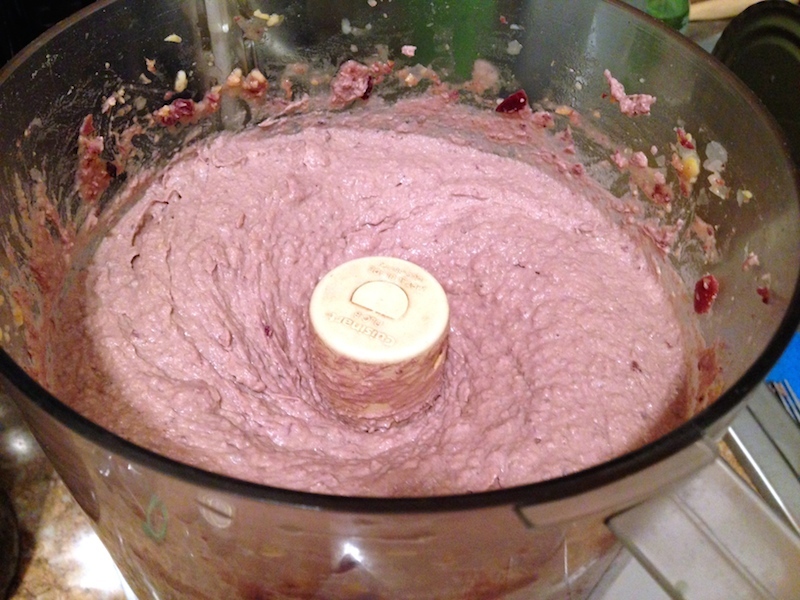 You don’t want to jam your food processor with a stray pit (oops…). In a food processor blend chickpeas, olives and tahini until smooth. In a steady stream, while food processor is on, add 1/4 cup oil, Stop food processor, taste and add additional oil as needed. I found I needed very little oil because there was already so much that got added in with the olives. Season with salt to taste. Again, the olives are pretty salty, so I only added an extra pinch of salt to the final dish. Serve with tortilla chips, pita or your favorite veggie slices. That would be delicious, never thought of adding olives to hummus, sounds great! I never had either until I tried it. My newest favorite snack! This sounds so easy and delicious!